What makes us who we are? 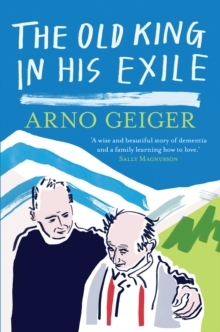 Arno Geiger's father was never an easy man to know and when he developed Alzheimer's, Arno realised he was not going to ask for help. 'As my father can no longer cross the bridge into my world, I have to go over to his.' So Arno sets out on a journey to get to know him at last. 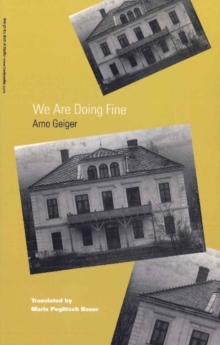 Born in 1926 in the Austrian Alps, into a farming family who had an orchard, kept three cows, and made schnapps in the cellar, his father was conscripted into World War II as a 'schoolboy soldier' - an experience he rarely spoke about, though it marked him. Striking up a new friendship, Arno walks with him in the village and the landscape they both grew up in and listens to his words, which are often full of unexpected poetry.Through his intelligent, moving and often funny account, we begin to see that whatever happens in old age, a human being retains their past and their character. Translated into nearly 30 languages, The Old King in His Exile will offer solace and insight to anyone coping with a loved one's aging.